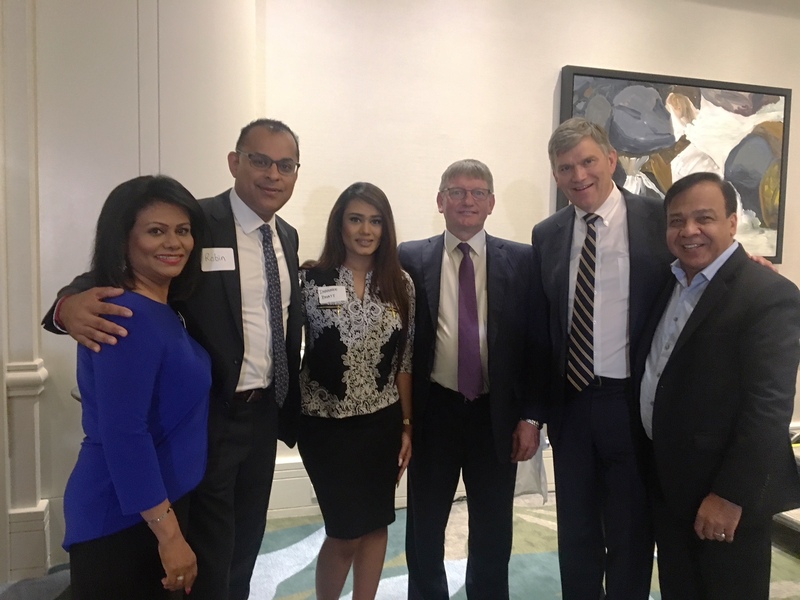 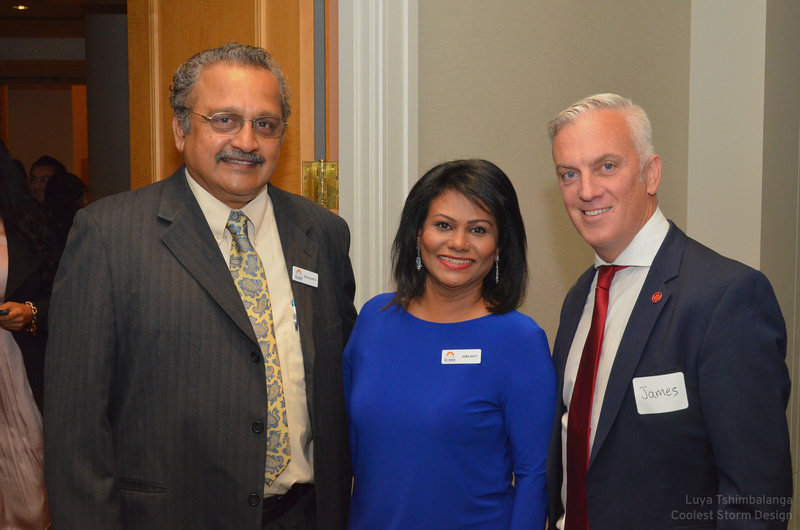 Last week the BC India Business Network (BCIBN) held a sold out lunch event with the Hon. 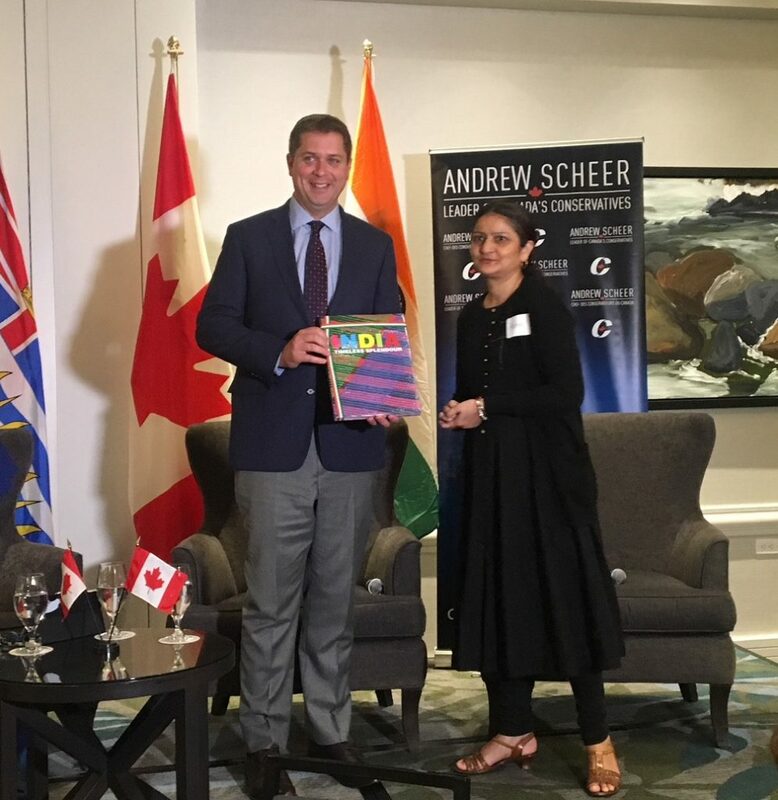 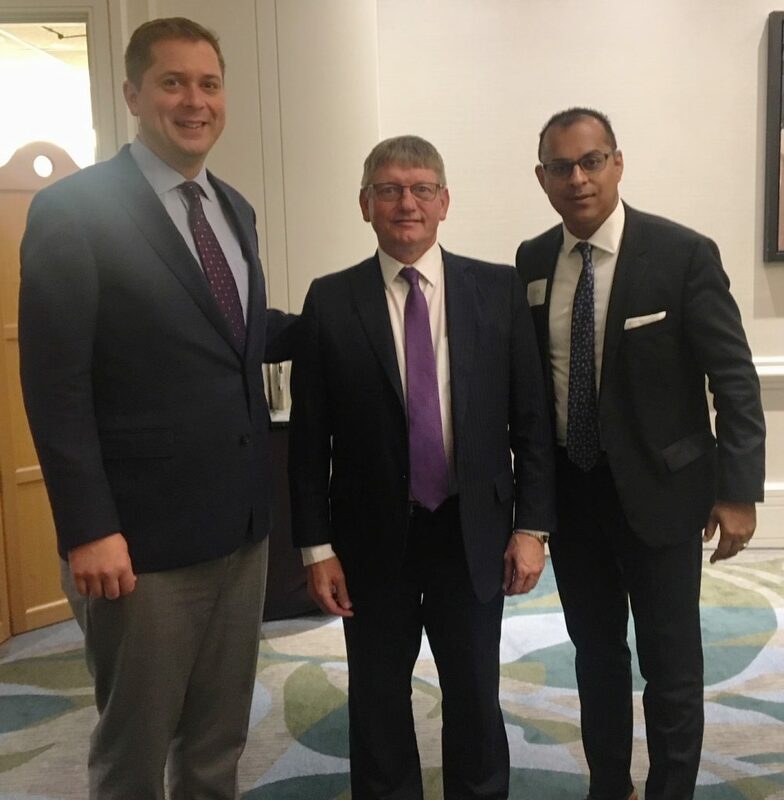 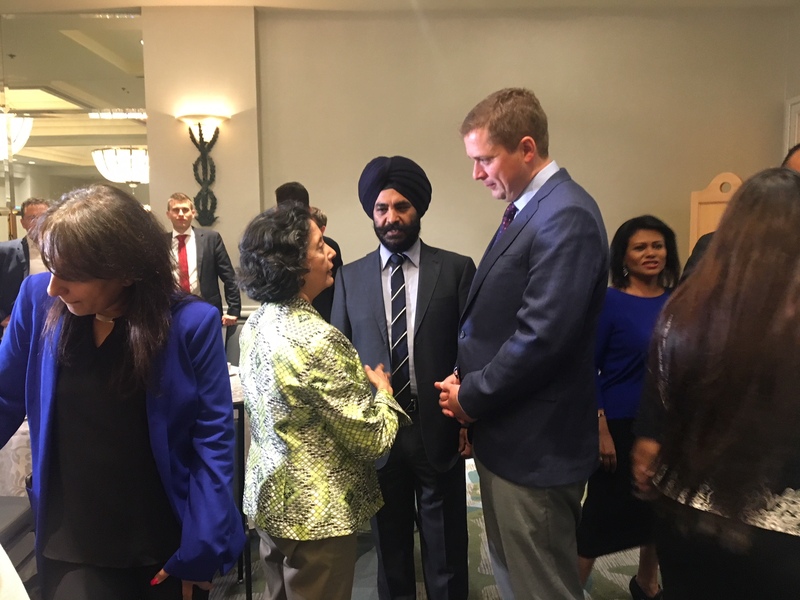 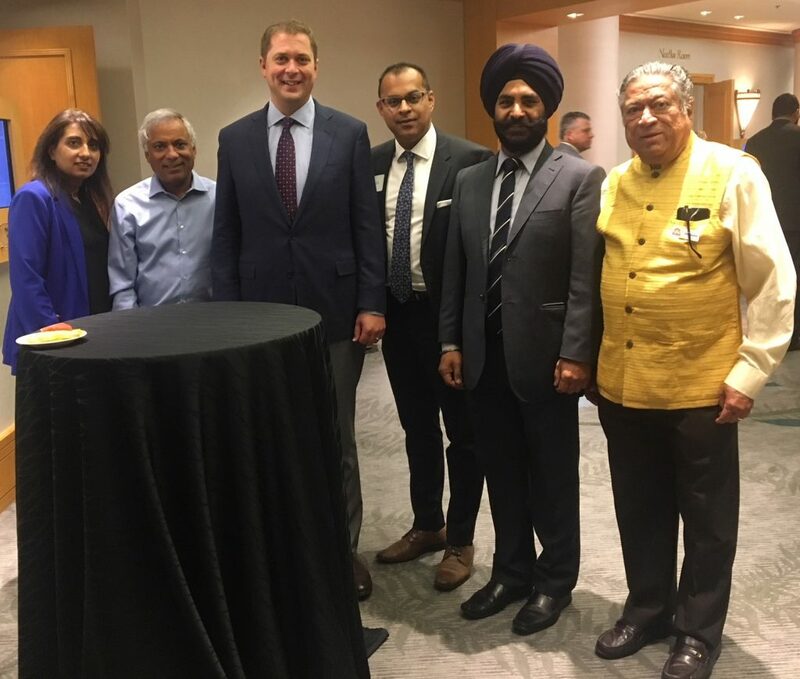 Andrew Scheer, Leader of the Conservative Party of Canada and Leader of the Official Opposition to give him feedback and suggestions from the South Asian business community before his upcoming trip to India. 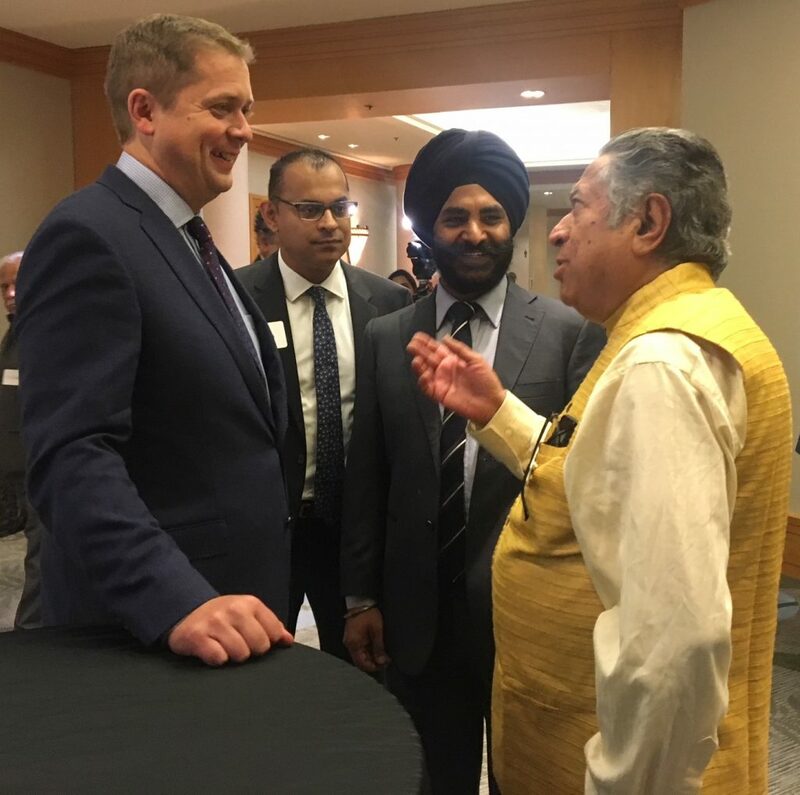 The dialogue featured Vivek Savkur, President and CEO of BCIBN and was Moderated by the Hon. 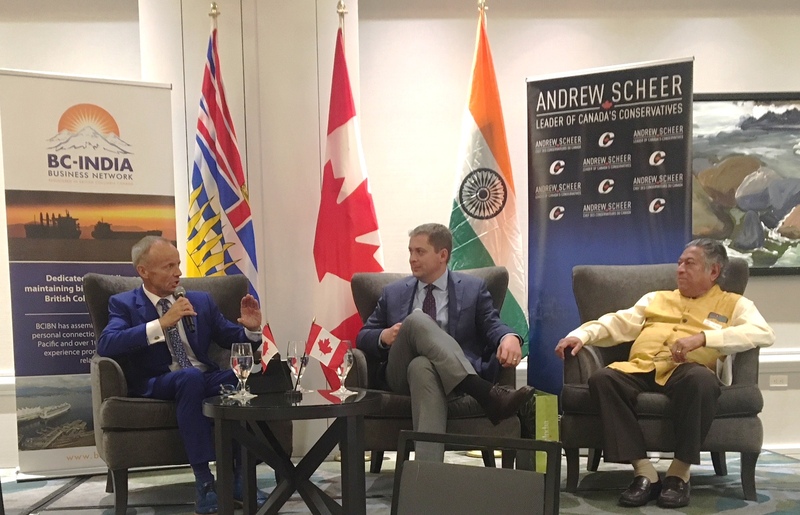 Stockwell Day, PC who also serves on the BCIBN Board of Advisors. 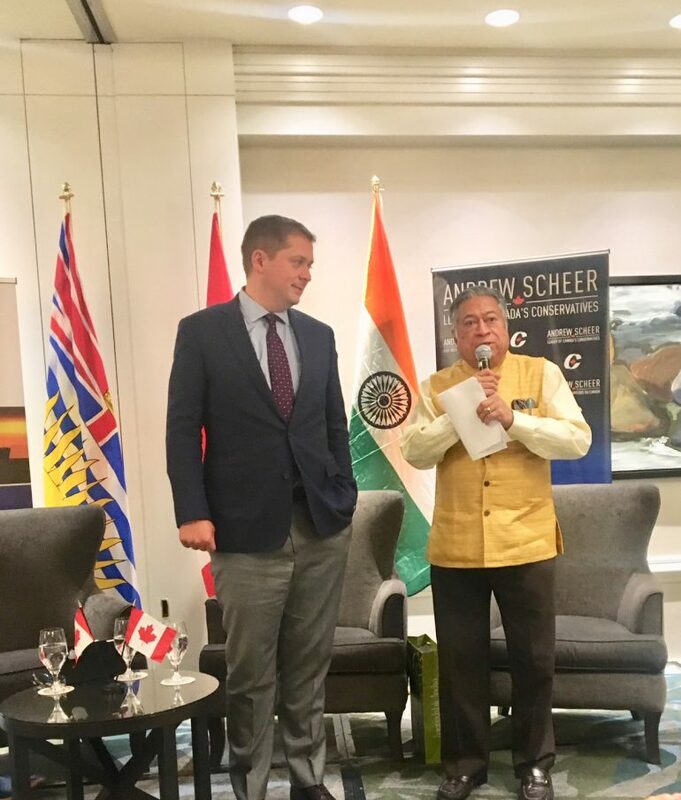 The focus of the event was how to improve the important trade and strategic relationship between Canada and India, with a specific focus on British Columbia. 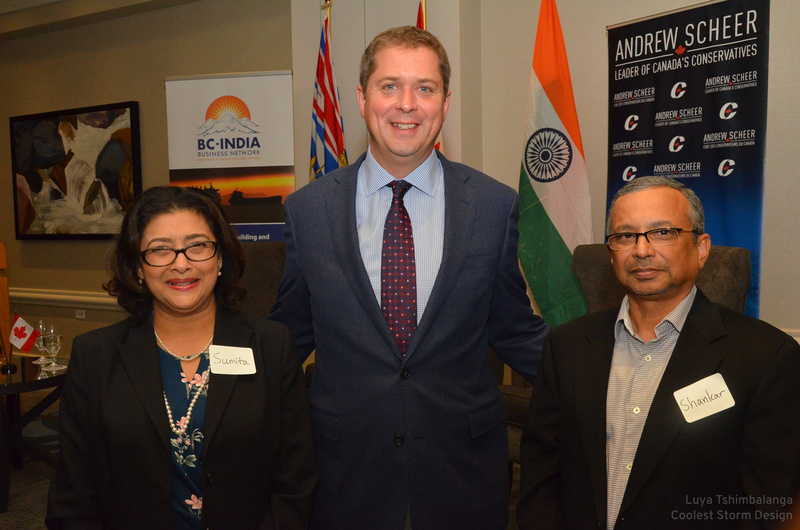 It was a lively event with some great questions from the audience. 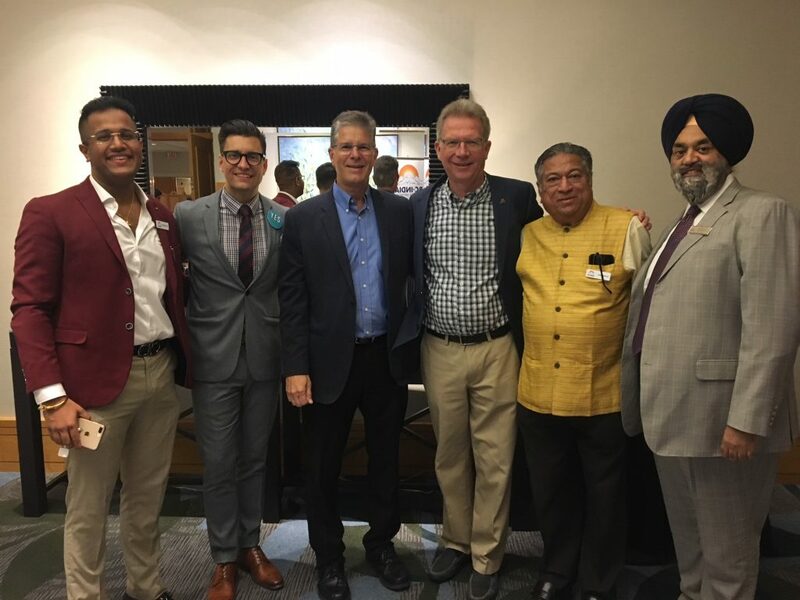 Many dignitaries and luminaries were in attendance including MP Mark Warawa, Hon. 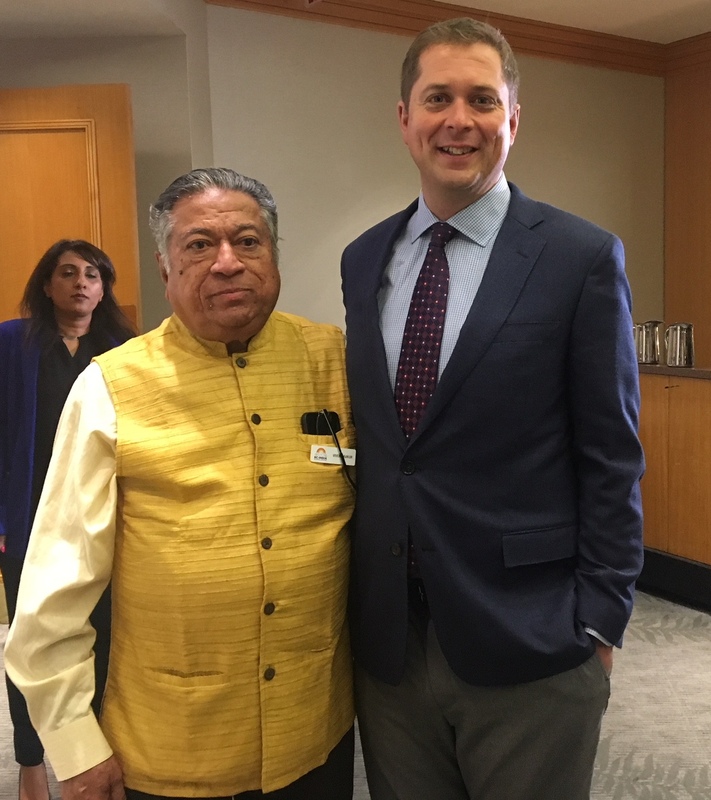 Herb Dhaliwal, PC, Philanthropist Hari Varshney, Hon. 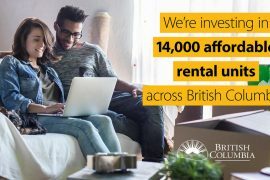 Kerry­-Lynne Findlay, PC, QC, BA, JD and many others. 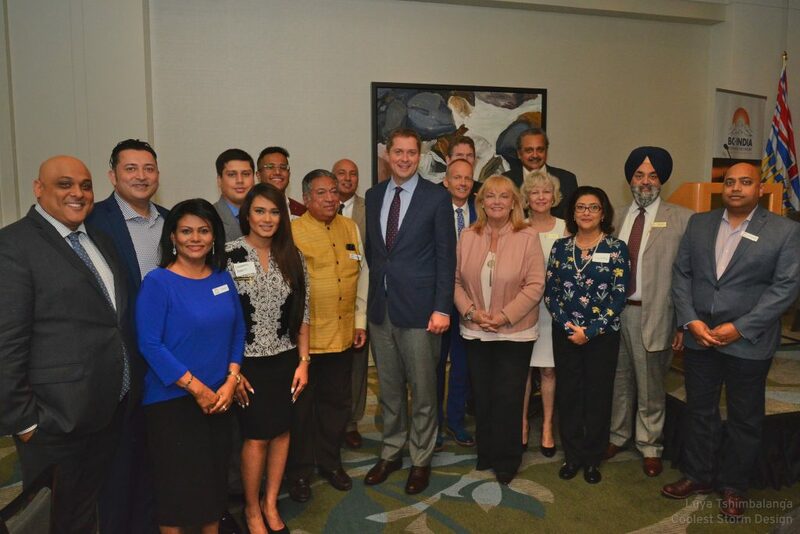 BCIBN is a Vancouver based business network organization with the singular aim of helping BC businesses succeed overseas in India.